Feather Red GrassPerennial grass. Moderate growth, spreading clump. Semi-evergreen, beautiful archin..
Feather Reed GrassPerennial grass. Fast growth. 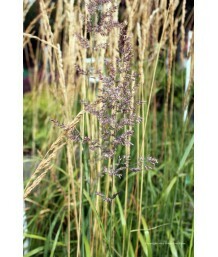 Ornamental grass with finely pointed blades. Leaves ..
Leafy Reed GrassEvergreen grass in mild winters. Fast growth. Native to California. Blue green folia..
California Pacific Reed GrassEvergreen grass. Wide, bright green, strappy foliage. Purplish flowers ..
Basket/Santa Barbara SedgeEvergreen sedge. California native. Bright green color on long arching lea..
Variegated Japanese SedgeEvergreen sedge. 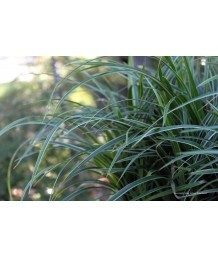 Dark green color on long arching leaves with thin yellow m..
Leather Leaf SedgeEvergreen sedge. Natural reddish brown color on curly-tipped leaves make this sedg..
New Zealand Hair SedgeGrass. Evergreen except in coldest climates. Plants form a low, cascading moun..
New Zealand Hair SedgeEvergreen rush. Compact cultivar featuring curling pale silvery green to frost..
Leatherleaf SedgeEvergreen grass. 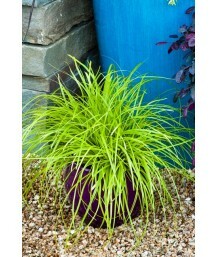 Variegated light to medium green grass has twisting tips and an ar..
Gold Fountains SedgeGrass. Evergreen except in coldest climates. Narrow, bright golden margins on gr..
Gold SedgeGrass. Evergreen except in coldest climates. Bright yellow new leaves in spring but color ..
New Zealand SedgeGrass. Evergreen except in coldest climates. Low mounding form. Long, grass-like le..
New Zealand SedgeGrass. Evergreen except in coldest climates. 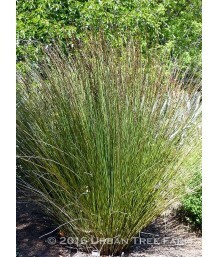 Foliage has slender, iridescent bronze..
Blue SedgeGrass. Evergreen except in coldest climates. Blue-gray foliage with a spreading habit. Not..
SedgeGrass. Evergreen except in coldest climates. Blue-gray foliage with a spreading habit. Not inva..
Variegated Japanese SedgeGrass. Evergreen except in coldest climates. 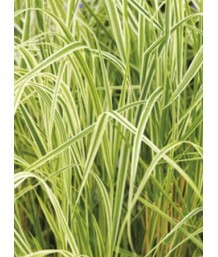 Green and creamy white striped..
Variegated Japanese SedgeGrass. Evergreen except in coldest climates. Green and creamy gold striped ..
Variegated Japanese SedgeGrass. Evergreen except in coldest climates. 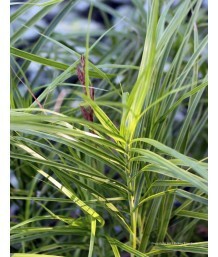 Strong creamy-white leaf margi..
Variegated Japanese SedgeGrass. Evergreen except in coldest climates. Mounding habit. Clear yellow e..
Everillo SedgeGrass. Evergreen except in coldest climate. 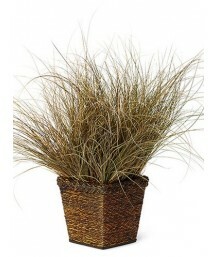 Shiny, dark green lives with silvery white..
Evergold SedgeGrass. Evergreen except in coldest climate. Mounding habit. 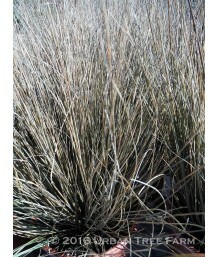 Green, thin bladed foliage..
Everillo SedgeGrass. Evergreen except in coldest climate. Mounding habit. Lime green, thin bladed fo..
EverLime SedgeEvergreen grass except in coldest climates. Mounding, gently arching habit. Thin green..
California Meadow SedgeGrass. Evergreen except in coldest climates. California native. Forms a low m..
Clustered Field SedgeGrass. Evergreen except in coldest climate. Mounding habit. Medium green, thin ..
SedgeDeciduous grass. Wide leaves are bright lemon or banana yellow with narrow, green margins and s..
San Diego Sedge CA nativeGrass. Evergreen except in coldest climates. Southern-California native. Co..
SedgeEvergreen sedge. Hardy, attractive plant suitable for mass planting. Bright green leaves transi..
SedgeGrass. Evergreen except in coldest climates. Fine arching olive green foliage with bronze-orang..
SedgeEvergreen sedge. Broad green leaves with gold margins make this sedge an outstanding addition t..
Berkeley SedgeGrass. Evergreen except in coldest climates. Dark green leaves form graceful clumps. S..
New Zealand Red Tussock GrassEvergreen grass. Fine thin blades are soft green with a dusky blush-bro..
Cape RushEvergreen grass. Densely tufted clumps up to 4' tall. Brown sheaths cover the joints of the..
Cape RushEvergreen grass. Densely tufted clumps up to 3' tall. Brown sheaths cover the joints of the.. 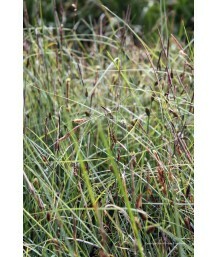 Dwarf Sterile Pampas GrassEvergreen grass. Short, compact growth habit. Long, sharp, green grassy fo..